Okay, after much moving of boxes and stuff. I have finally got my wargames table set up. 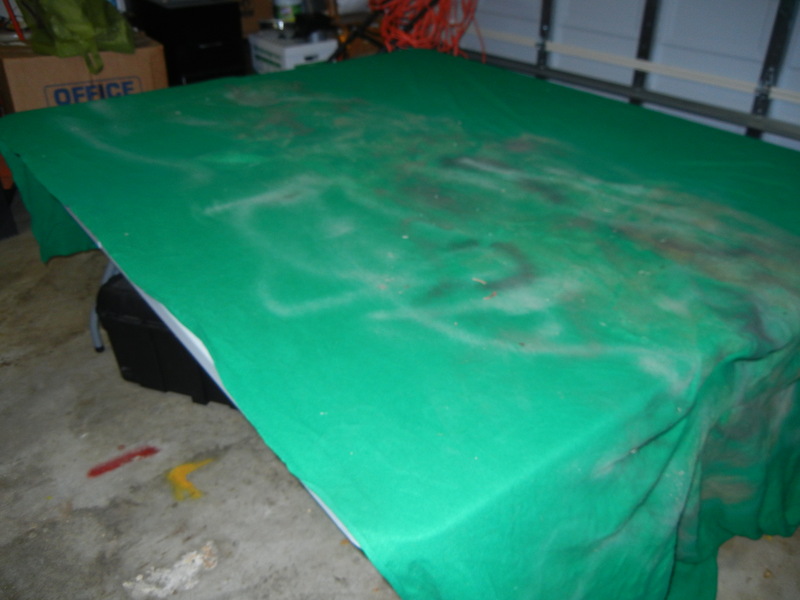 It is 6′ long by 5′ wide. 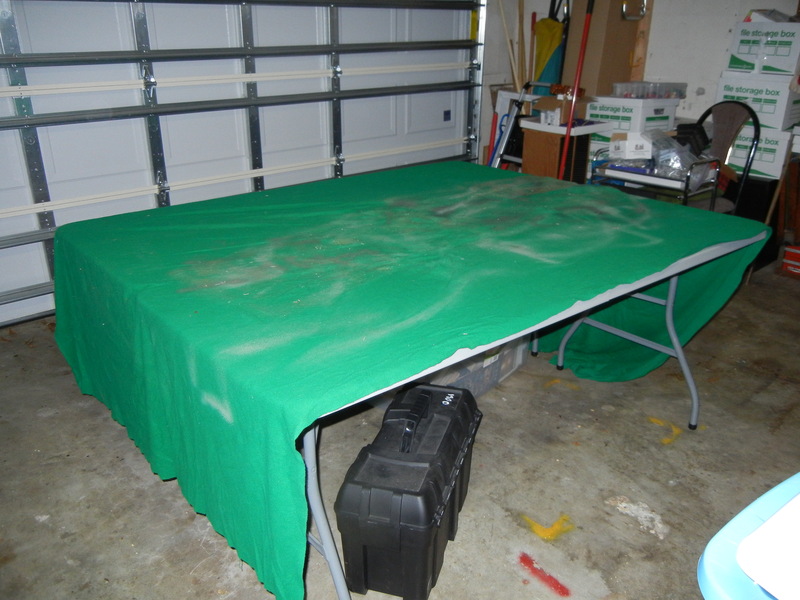 I would like to go into exquisite detail about all of the work I put into building it but in truth it is just a couple of heavy duty folding tables laid out side by side with an old green drop cloth over them. 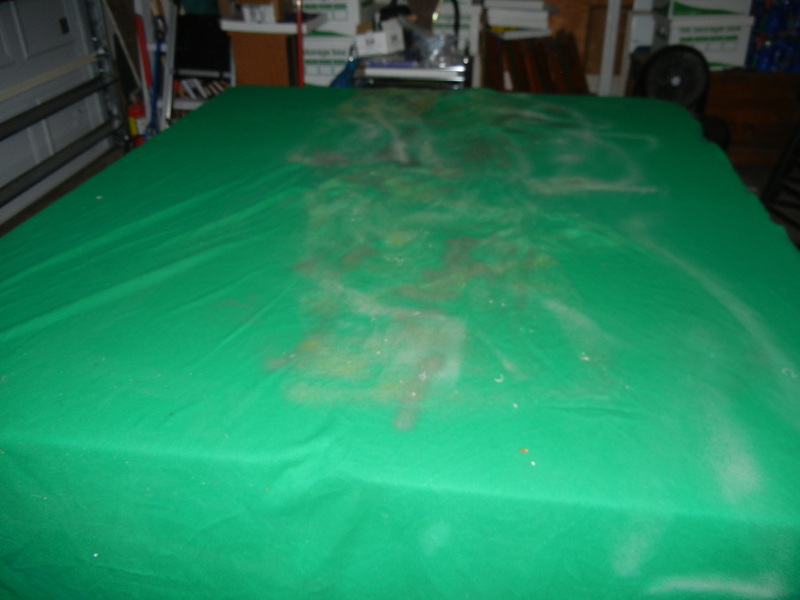 I have other drop cloths and a bunch of scenery and of course many soldiers and vehicles. The case under the table is one of my figure cases that I use to tote my stuff. I plan on ultimately storing my scenery under the table. Another view…I still can’t get over the fact that I now actually have a garage…first one I’ve ever owned in my life. 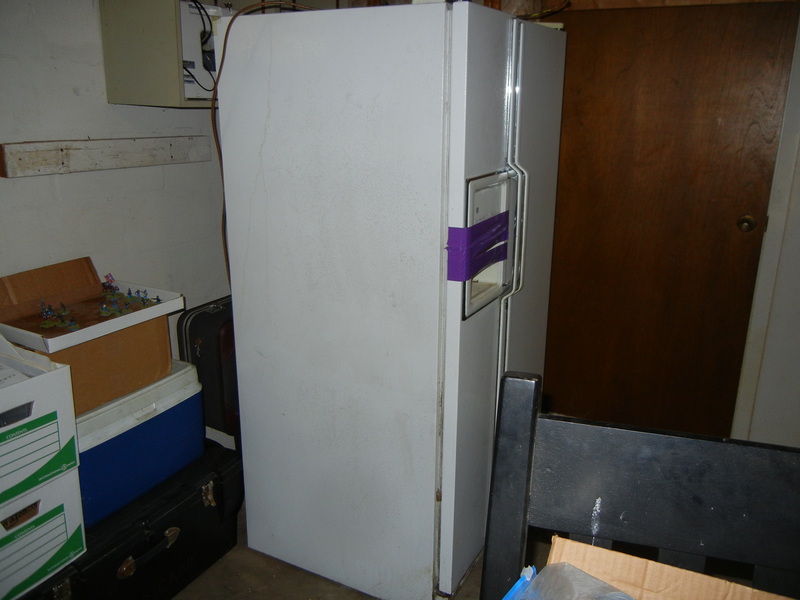 And of course next to scenery, soldiers, rules, and such the most important gaming accessory…The Refrigerator! I’m hoping that this will be the scene of many different and exciting battles. The Few…The Proud…and Another Progress Report! This is a picture of my US Marines collection. 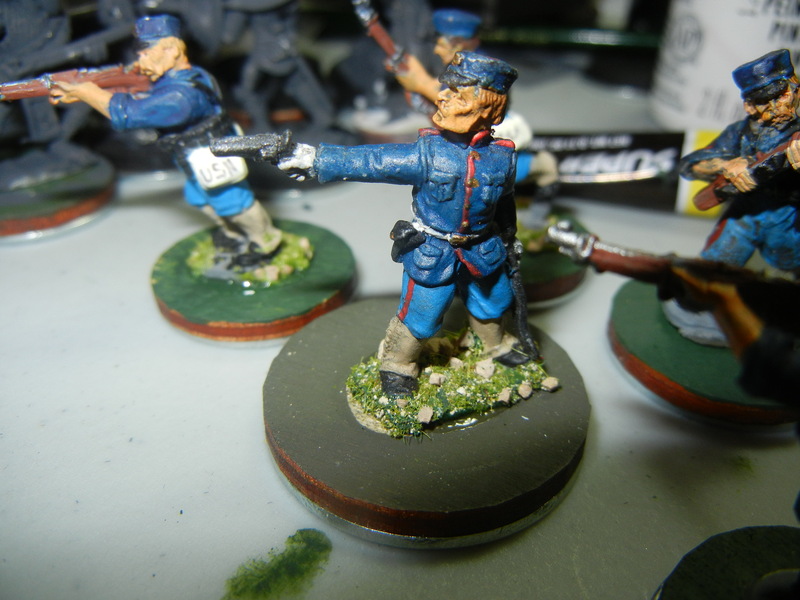 The uniform is from the late 19th to early 20th century period. As for the table, it is now set up. I hope to have some pictures of it either later today or tomorrow. It will be really good to get back to the gaming table even if I have to play solitaire sometime.